AUSTRALIAN TEACHERS - it is time to win again with Blake Education! Get ready for 2014 with Blake Education’s fantastic Literacy Catalogue. 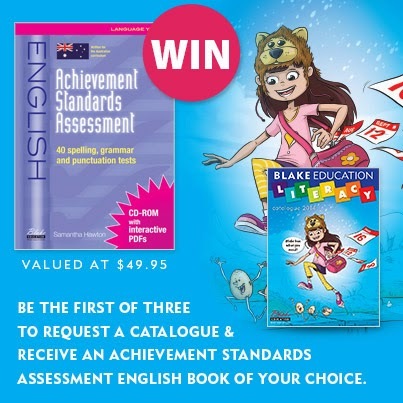 To celebrate Blake Education are giving the first 3 people to request a catalogue an Achievement Standards Assessment: English book of their choice valued at $49.95. 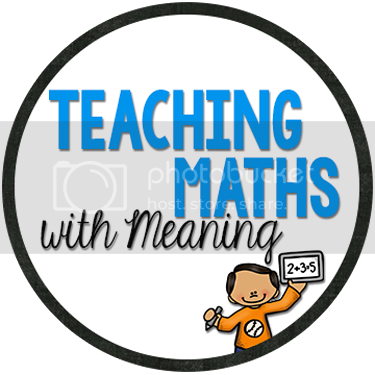 Blake Education is committed to producing a comprehensive range of high-quality literacy materials, which are stimulating, well-written, with Australian quality reading resources. Choose from over 1000 titles in over 30 different series that feature stimulating, well-written stories and wonderful illustrations. These books are matched to specific year levels, reading levels and broadband levels to cater to each student’s reading ability. • Sparklers are high interest, well-written and often quirky stories of real people in unusual situations. There are thirteen sets in the Sparklers series, ranging from levels 15-32 to Middle Primary. • Go Facts: The 28 Go Facts sets deliver the clear, exciting and easy-to-read nonfiction your students need. The complete Go Facts program includes 144 student books, 4 Big Books, 2 Videos and 28 Teaching Guides. • STORYLANDS is aimed at the needs of teachers of students in the first three years of school. • Steve Parish range: Blake Education now stock over 150 fiction and non-fiction titles from the Steve Parish range. The picture and story books all feature Australian animals and are ideal take-home readers. Each book will engage young learners and give them an insight into Australia’s unique wildlife and habitat. I have some books on the way and I am so excited! LOVE Blake Education!